I saw the biggest spider last night as we were unloading the moving truck, I think it had a small dog in its mouth. I tried knocking down the web and killing it but it got away. Less than 20 minutes later the lil’ bugger was back, spinning another web. Apparently he hasn’t got the hint that he wasn’t welcome here. He is going to regret not taking the hint. My grandma had an old household tip book that she put together during WWII and in there was a concoction for a homemade insect repellent specifically for killing and keeping spiders away. I’ve never tried it, but my mother said it works and that my grandmother used it all of the time on the farm. I love that it’s non-toxic and that everything’s on hand. It worked, my little friend is gone, I don’t know if he is dead but he is gone. 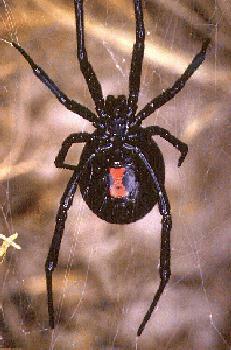 I sprayed around all of my doors and windows like grandma suggested and 24 hours later I don’t see any spiders. I will continue to test this product, but for now I am giving it my seal of approval. Update: It works! I’ve been using it for several months reapplying after the rain and we haven’t had any problems with spiders. I love these old home remedies!Do you have a homemade insect repellent recipe that works? How do you keep the black pepper from clogging up the nozzle in the sprayer? I also live in a rural area and would like to use this to repel the spiders in my basement and house. I have a dog and he gets into things that intrigue him. Since this is non toxic I would like to try it also. 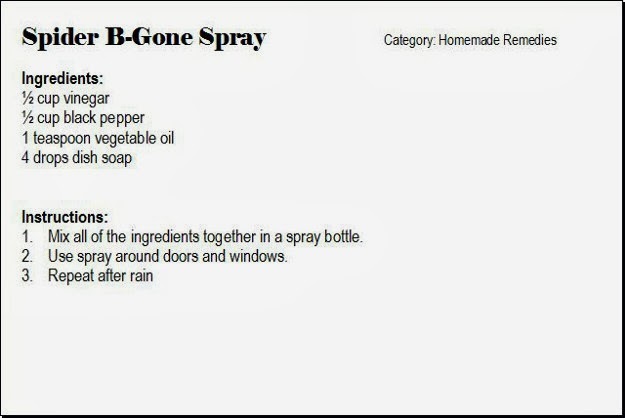 It sounds good but wonder how to keep the black pepper from clogging up the sprayer. Do you mix it all then strain and use only the liquid part? Yes, you do want to strain!